This was my first full week back to work, it was pretty tiring, and my legs were quite sore by weeks end. But, I wanted to get out, even for a little while today to see if I could see anything new for Spring, and was rewarded with another couple first of year sightings. The birding excitement actually started at home over my morning coffee from the kitchen window. 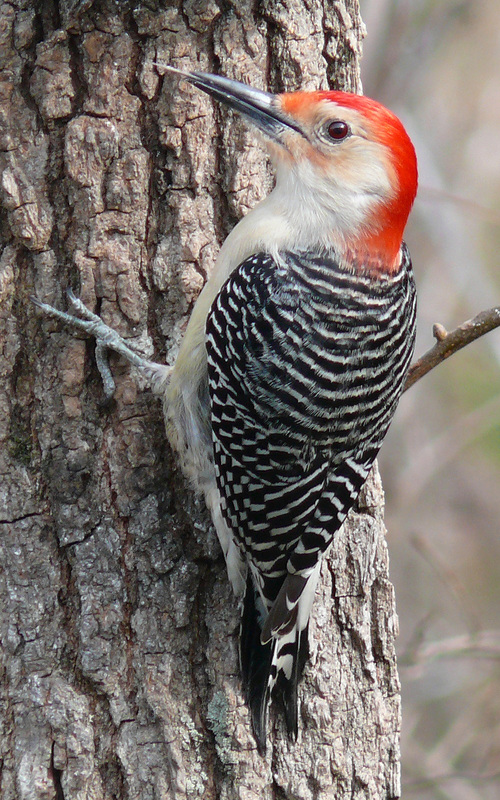 I spotted a Red-bellied Woodpecker in our backyard. 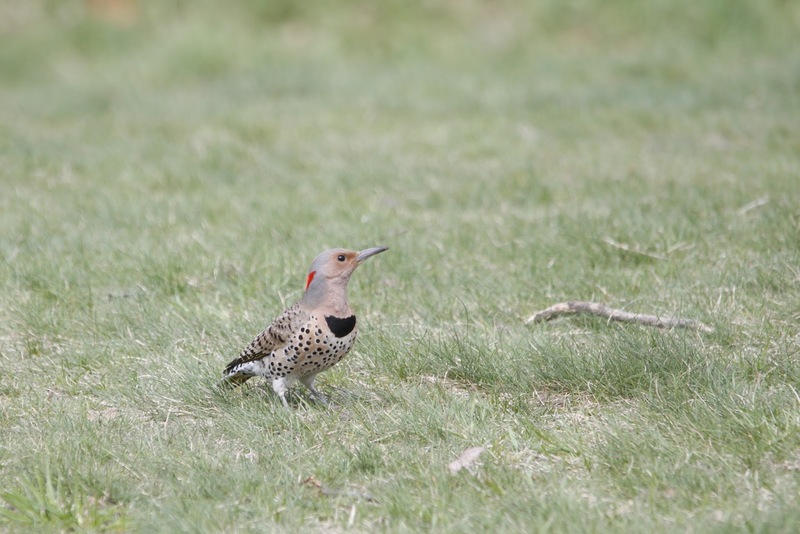 This is the first time we've seen this species in our yard, so we were pretty excited! Unfortunately Rob only saw it when it flew away, but I had some good looks through my bins. 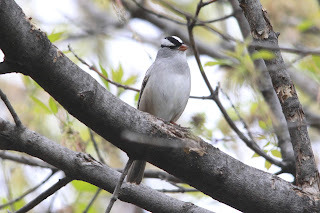 Also, we have White-crowned Sparrows in the yard at the moment, Rob had been seeing them through out the week, but today was the first time I did. White-crowned Sparrows are in the yard this time of year. 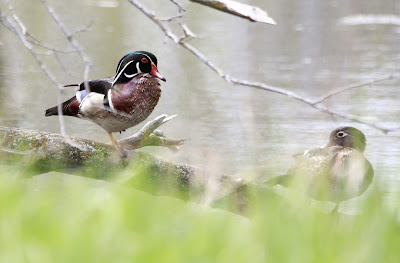 Early afternoon we took a short drive to a park close to home where we saw a couple pairs of Wood Ducks. A first of year sighting for both of us. 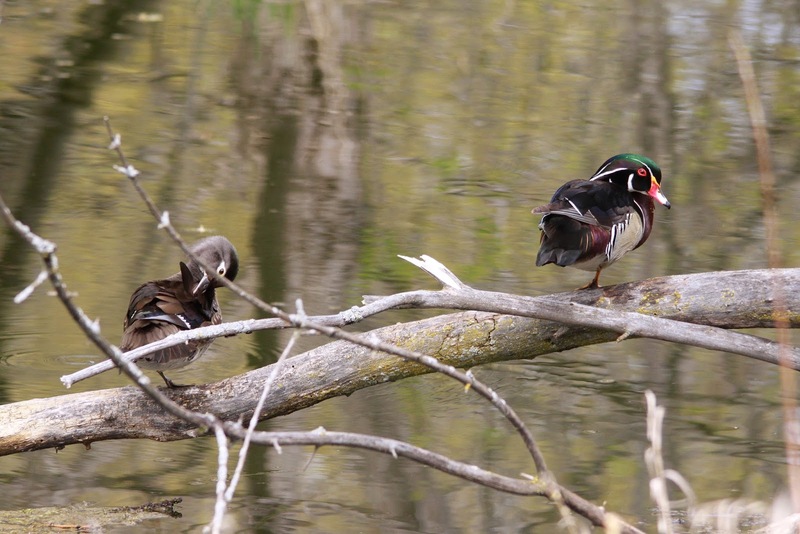 Pair of Wood Ducks close to home. They were both busy preening. 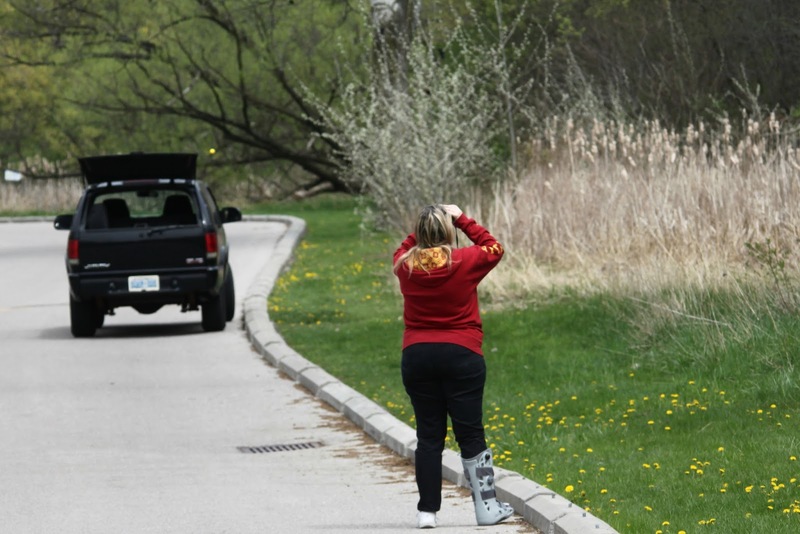 After an early dinner we went out for another brief walk at a local green space. 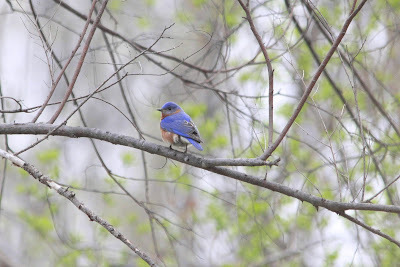 We were treated to an Eastern Bluebird sighting, first time for me seeing them in the area, and also had some great views of a Northern Flicker. Male Eastern Bluebird, what a beauty! 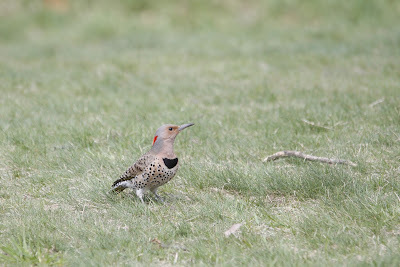 Northern Flicker, always nice to see. With the rain expected tomorrow, I'm glad we got out for a little while today. A little birding is better than no birding. All photos taken by Rob today except for the Red-bellied Woodpecker which is a Google Image.